30:15 Does consuming fat in the morning get in the way of intermittent fasting? 51:17 Does hypothyroidism cause dry eyes? Steve Wright: Hey everyone, and welcome to another episode of the Revolution Health Radio Show. I’m Steve Wright from SCDLifestyle.com and with me is Chris Kresser, health detective and creator of ChrisKresser.com. How are you doing, Chris? Steve Wright: I’m doing well, I’m doing well. You’ve been off for a little while, and we’re back on the show, so how have you been? Chris Kresser: I’ve been well. It was nice to have some time off, you know, just to rest and be out in the sun for a little while, we had some really nice weather here, and catch up on a few projects I’ve been wanting to work on but haven’t had the chance to, and spend lots and lots of time with my family, so it was a great break. Steve Wright: Awesome. 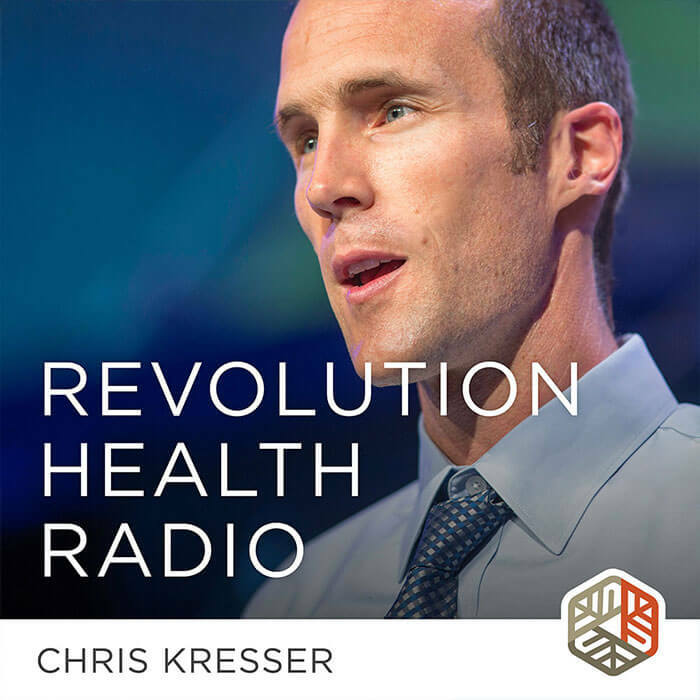 Well, before we get started, I want to let you know that this radio show is brought to you by ChrisKresser.com and if you’re new to the paleo diet or you’re just interested in optimizing your health, check out Beyond Paleo. It’s a free 13-part email series on burning fat, boosting energy, and preventing and reversing disease without drugs. To sign up, just go over to ChrisKresser.com and look for the big red box. All right, Chris, well, today we’re gonna do a mixed bag of things, so you want to kick it off? Chris Kresser: Sure. Yeah, we’re gonna answer some questions again today, but I wanted to begin by talking a little bit about the article on raw milk safety that I wrote earlier this week and just some of the discussion that’s happened around it, because I think it’s an interesting topic both specifically in terms of raw milk safety itself and also generally in terms of risk/benefit analysis for any health-related activity or choice that we might make, and just how we go about making those choices, because I get a lot questions through my blog and from my patients and just in general about, you know, do you recommend raw milk? Or do you recommend eating eat seafood and raw oysters? Or do you recommend vaccination? Or do you recommend home birth versus hospital birth? And these are all questions that are on a lot of people’s minds, and they’re important questions, and I think it’s helpful to talk a little bit about how to answer those questions, because I never will respond just by saying: Yes, I recommend this, or yes, I recommend that, because it’s not that simple. There are a lot of factors that go into a decision like that, and some of them are data-driven. You know, we can look at the scientific literature, and we can determine from that what the relative risks and benefits are for a particular choice. And then some of them are values-driven, and in all of the cases that I mentioned, they’re both. You know, so values might include our particular worldview, what’s important to us, other non-measurable factors like, for example, in the case of home birth, there are a number of considerations like skin-to-skin contact with the baby after the baby is born, the type of environment a woman might want to give birth in, like in her home, in a place that she feels comfortable versus in a hospital, the type of people that she might like to have around her during the birth. These are things that won’t be covered in scientific studies, and yet they’re very important factors that go into how that decision is made. So, I wrote an article this week, as I’m sure many of you are aware by now, about raw milk safety, and my purpose in writing that article wasn’t to make a “recommendation” for whether someone should drink raw milk or not, because I think that’s a choice that everybody needs to make on their own, based on their evaluation of the data, the risk, the possible benefits, and their own value system. But my purpose in writing that article, though, was to clarify what the data actually says about the risk of drinking raw milk, because that is fairly objective. There are data available, and we can interpret those data, and then we can decide what to do about that data. In other words, we can make a choice weighing the potential benefits versus the potential risks. Now that’s something that I don’t think we can argue about. If somebody evaluates the data and then determines that they don’t want to drink raw milk even if the risk is relatively low, then I’m not gonna argue with that. You know, that’s someone’s personal choice, but what I do take issue with is the distortion of the data or exaggeration of the risk of drinking raw milk, which is what I see all the time in the mainstream media. And it’s unfortunate that this issue has become so highly politicized, and it’s really become a lightning-rod or hot-button issue, and when that happens, the victims are people like you and me who just want to know what the facts are so that we can make our own informed decision, but those facts are being obscured by a tremendous amount of hype and propaganda, and in an issue like this, it tends to happen on both sides. So you get really entrenched viewpoints, and then it just, in my experience on issues like this, it just becomes kind of an “I’m right, you’re wrong” type of argument, and it’s not very productive, and the facts and the data are what get obscured, and it becomes more of just a battle of will or belief system. So, the CDC and the FDA — I’m not going to go into all of the details because those are available in this article, and there’s a lot of data there for people who want that, but the summary is that the CDC and the FDA have been making a lot of noise about dangerous raw milk is, and it’s true that there is a risk with raw milk, and it’s true that there’s about a nine times greater risk of becoming ill from drinking raw milk than pasteurized milk, but what’s also true is that the absolute risk of becoming ill from either raw or pasteurized milk is incredibly low. In the case of raw milk, it’s about 1 in 94,000, and in the case of pasteurized milk, it’s about 1 in 880,000. So, this is a good time to talk about the difference between relative and absolute risk, which is really important to understand. We’ve talked about this before in the context of evaluating other scientific studies. If you talk about a nine times greater risk of something, it sounds really significant and scary, and that’s true if you’re talking about the risk going from 5% to 45%. That’s a gigantic leap, and it would have huge implications in terms of safety, but if you’re talking about the risk going from, you know, one ten-thousandth of a percent to one one-thousandth of a percent, then that’s a much less significant jump, and the absolute risk, even though it’s nine times greater in that example, is still very minute. So, this is an important thing to understand in this whole decision on raw milk, and you see these headlines, you know, “Raw Milk Much More Dangerous Than Pasteurized Milk,” and for someone who doesn’t look any deeper, that might be enough to turn them off to it, but it’s really important to understand that the absolute risk of getting sick from drinking raw milk is really low, and the absolute risk of getting sick to the point where you would need hospitalization is even lower. In the period that I looked at from 2000 to 2007, the absolute risk was about 1 in 6 million, and I used some comparisons in the article to just give people a kind of rough idea of how that risk compares to other risks that people take on a regular basis, and it’s not an exact comparison, of course, because they’re just generalizations. They don’t take into account the frequency with which people engage in these activities, but according to the US Department of Transportation, the risk of dying on a plane crash is about 1 in 2 million, you know, for the person who flies an average amount. So, the risk of dying in a plane crash is greater than the risk of becoming hospitalized from drinking raw milk during the period of 2000 to 2007. So, really it’s a small risk, but it really boils down to risk tolerance. So if somebody reads the article that I wrote and they understand what the facts actually say, and they still decide after reading that: Hey, you know what? I understand that the risk is small, and I just don’t want to take that risk. I don’t want to take it myself or I don’t want to take it for my children. That’s fine. I completely respect that. But it’s just important to me that the facts are clear, and that was my purpose in writing that article. And, in fact, that’s my purpose when I wrote about home birth. I wanted to set the record straight on what the relative risks were for home birth versus hospital birth, because that’s something that there’s also a lot of hysteria and misinformation around that issue. And when we talked about vaccinations, my point was not that there’s no risk in not vaccinating. I think that’s untrue, there is a risk, but there’s also a risk in vaccinating. So these are all decisions that really can’t be made just based on the data alone, and you have to consider your values and your priorities and your world view and what you’re comfortable with, and that’s why I think that the “debate” will never end with these types of issues, because a lot of the factors are subjective. And as long as we’re thinking and unique individual human beings, there are going to be these differences. Steve Wright: Well, I appreciate you writing that article because I, for one, was getting mixed up between the two sides of propaganda. There are just so many YouTube videos one side and so many articles on the other that it’s very helpful to see that in this light, so I appreciate it. Chris Kresser: Yeah, sure. And there are a couple more articles coming in the series. The next one we’re gonna talk about what the potential advantages of unpasteurized milk are versus pasteurized milk, and again, there are some things that are more clear than others there. There’s some epidemiological research that suggests that raw milk might help prevent allergic diseases and asthma and other immune-mediated conditions, but as we know, epidemiological data don’t prove causation, so we can’t know for certain that raw milk is the deciding factor in those studies. And then there are other claims that are made about the nutritional differences, some of which are more easily substantiated than others, but the truth is there’s just not a lot of high quality research on the differences between raw and pasteurized milk. So, for the people who say that hasn’t been proven, yes, that’s true, but lack of proof is not proof against. And for a lot of people, just experientially or the experiential difference, you know, they drink pasteurized milk, they notice how they feel, and then they drink unpasteurized milk, and they notice the difference in how they feel, frankly that’s gonna be enough for a lot of people. And for most people who are drinking raw milk now, that is enough because the average person doesn’t dig into the scientific literature and read every study there is on the differences, and they don’t wait for scientists to do that kind of research before making up their mind. Again, there are a lot of things to consider, but I think the main point I want to get across here is that a lot of the decisions that we make about health and wellness are not just driven by data alone. They’re driven by our value system and our priorities and our world view, and that’s perfectly valid, and they’re important criteria in the decisions that we make. Steve Wright: Well, I’m looking forward to the rest of the series, and I hope that you also do a piece on homogenization because I’m interested in that. Chris Kresser: Yeah, we’ll talk a little bit about that, I think. It’s hard to keep these articles short enough so that people will actually read them! The first article was almost 3000 words, and I felt like it could have been a lot longer than that. So, we’ll be as thorough as we can without being overwhelming. Chris Kresser: So, we can move on to the questions now. That’s all I have to say about that. Chris Kresser: Not for the average person. So, we have mechanisms where the cells in the stomach can sense how much iron we have in our body stores, and when the body stores are low those cells will absorb more iron from our gut, and when our body stores are sufficient they won’t absorb as much iron. They won’t absorb any iron, and we’ll just excrete it. That’s the way normal iron metabolism works. But some people have mutations in the genes that code for some of these proteins, and then that whole system gets messed up. For example, in hereditary hemochromatosis, which is one of the most common genetic mutations in people of European descent, which causes pretty aggressive iron overload, that regulatory mechanism is broken, so the body can’t communicate how much iron that it actually has, and so the cells in the gut just keep absorbing more and more iron inappropriately, and more iron gets stored up in the body. So, for someone with a genetic mechanism like that, like a genetic mutation like that, it’s possible that cast iron might have an effect, especially if the pan is old and hasn’t been well seasoned over time to protect it. Eating liver regularly definitely would be a risk factor for people who have an iron storage mutation like that. It’s not for people who don’t, because as I said, in normal physiology you just excrete any additional iron that you take in, but as I said, it’s one of the most common mutations in people of European descent. In fact, about 1 in 200 to 1 in 300 people in the US have hemochromatosis, so it’s actually not that rare, and that’s one of the reasons that I always run iron panels on my patients, particularly men, because it’s a pretty common thing, and it’s often not diagnosed. Almost every patient that I’ve diagnosed with iron overload, it was the first news they had ever heard of it. It’s something that just seems to fall through the cracks a lot. So in summary, if you don’t have one of these mutations, you don’t generally have to worry about how much iron you’re eating in food or cooking in cast iron, but if you do have one of these mutations or you’ve tested high in iron previously, than it’s something you probably should pay attention to. Steve Wright: Great. So do you use cast iron, or do you recommend it? Chris Kresser: Yeah, I use cast iron, but we mostly use ceramic cookware, like the Le Creuset. We use some stainless steel for applications when we just want to heat something up quickly, you know, boil some water or whatever, and then we have one cast iron skillet that we use. So it’s kind of a combination of things. Steve Wright: Gotcha. OK. Great, well, let’s roll on to the next question. This one’s from Josh, and he’s wondering what you thought the best science to major in before he goes to naturopathic school would be. Chris Kresser: Yeah, that’s a good question. I get that one a lot. I think it really depends on your interests. There are a number of potentially good choices. Like, biochemistry would be one. Physiology would be another one. And I don’t think it matters all that much. What I do think matters is that you’re interested in the subject matter and you’re engaged in it, and that’s probably the most important factor of all, because as you progress through your medical education, whatever route that you choose to do, if it’s naturopathy or medical school or something else, you’re gonna be exposed to all of the other disciplines and everything from anatomy to physiology to pharmacology to biochemistry. You’re gonna cover it all, so I think early on it’s just important to do something that interests you and that you can get excited about and you feel engaged by. I don’t think it matters too much within those basic sciences what you do. Steve Wright: Is there anything that you should be doing on the side while you’re going to school, because I know school can be demanding, but a lot of times there’s some free time? Chris Kresser: Yeah. Well, when I was in graduate school, I did a lot on the side. I did a lot of continuing education programs. I did some mentorships with other practitioners and teachers, and I did have some spare time, and I was at a point in my life because I went back to school fairly late in my life, I was very focused on my career and getting the ball rolling, so I actually started my blog, which was formerly The Healthy Skeptic, while I was still in school, and that was primarily a way for me to just keep track of my own research. I don’t know if I’ve told this story before, but when I started my blog, I had absolutely no idea that anybody else would ever read it. It was just that that format seemed to be the easiest way for me to kind of keep a record of what I was interested in and the kind of research that I was doing, and I’m the sort of person that learns well by doing. You know, I’m a kinesthetic learner, so if I read something and then I take notes on it and then I write something about it, then it’s imprinted in my brain in a way that it never gets imprinted if I just listen or read. So, I started The Healthy Skeptic, and then I was surprised to find out that people were actually reading it and leaving comments, and one thing led to another. So, that can be really useful. If you’re in grad school or even as an undergrad, just start writing because it’s a really good way to test your knowledge of the material. When you read something and then you write, you’re taking it through your own filters, and if you’re able to write about it in your own language, you’re gonna be much more likely to retain that information and be able to talk about it with other people. So, I think that’s something you can get started with right away, and then looking around and seeing what’s available in terms of…I think this person is interested in functional medicine even though he is going to study naturopathy, so you can look around for some functional medicine courses that might be available. Usually they have student rates. I mean, I really took advantage of that when I was a student. Many of the companies that teach these seminars, and some of them are nutritional supplement companies or some of them are lab testing companies, like Metametrix does some seminars. Almost all of the lab testing companies have seminars where they talk about their lab tests but also just functional medicine topics in general, and some of them have just amazing student discounts. One company, Apex Energetics, I did some seminars with Datis Kharrazian and some other people. You know, their normal weekend seminar rate was something like $450 or $500. I could be misquoting that, but something like that, and for students it was $50. So, I mean, I just took every single course that they offered while I was a student so I could take advantage of that discount. Those are all good options, and then of course, make sure you save some time and have fun and manage your stress because graduate school and even undergrad when you’re doing pre-med type of stuff can be, like you said, Steve, really stressful, and I see a lot of people graduate from school being totally burnt out and wrecked, so it’s a good idea to protect your health and make sure to take care of yourself while you’re doing all of this stuff. Steve Wright: Yeah, that’s all good. I’m glad you shared that story, and I think there have been a lot of masters that have said you don’t necessarily truly learn something until you teach someone else. Chris Kresser: That’s right. There’s an old Daoist saying: True knowledge is action. Steve Wright: Yeah, and that’s a great point. You know, I hate to hear about people who have the best of intentions when they go into undergrad for pre-med and then end up burning out before they ever finish, so have a lot of fun, people! Chris Kresser: Yeah, and you know, along those lines, I know I already said this, but you have to find a way to make it interesting for yourself, and that’s the biggest piece of advice that I have to anyone who is pursuing that kind of path. I got really interested in cholesterol and heart disease and that whole myth and debunking that, and that’s how I started writing my blog, and I just kind of went from one topic to the next like that while I was in school, and that kind of became primary while I was in school. Like, the research I was doing outside of school and the writing for my blog was my main fascination, and then school was a way of sort of fueling that and helping to learn about research methodology and some of the other things. Like, when I was in school, a lot of the people that I was studying with, like in my research methodology class, just hated it. They were bored out of their minds, and I think part of it’s because a lot of people who go to study acupuncture they don’t really care about that. They’re more interested in Chinese medicine, not Western medicine, but for me that was such an amazing resource. The guy who taught it was a researcher at Stanford at the Cancer Center at Stanford, a really knowledgeable guy, and it was just so cool to be able to learn about that, learn how to evaluate studies, and I had a context, you know, a reason to learn it because I was reading all of these studies and it was on a topic that I was passionate about. So, yeah, finding a way to make it really interesting is important. I think that’s what makes a difference between people who burn out and either don’t make it through or just are miserable the whole time and people that end up really enjoying it and getting a lot out of it. Steve Wright: Do you have anything to say to the people out there who are in any of these disciplines and they think along the paleo, evolutionary health perspective, but they’re stuck with professors in classes that are of the previous paradigm? Chris Kresser: Yeah, I guess that’s a similar evaluation that we were talking about before. I mean, it’s a question of how you want to spend your energy. I mean, in some cases I think making a lot of noise about it is equivalent to beating your head up against a brick wall. You know, you just kinda have to look at the situation and evaluate how much energy you want to spend trying to change other people’s minds in that situation, how likely you think it is that that will even happen, you know, how open are they to hearing the information that you have to share. So for me, it varied from situation to situation. Like, I was already doing presentations and talks when I was a student in graduate school at the school, so when I was working on my heart disease and cholesterol research, I started giving presentations, and that was a good way for me to kinda get this information out there without spending all of my time being that guy in class who was always, like, contradicting everything that the professor says. And a lot of times it was hard because I’d have to sit there and listen to stuff that I knew was not true and not accurate, but in the end, in some cases I would raise my hand and say: Well, what about this? Or have you heard about that? But in a lot of cases during that time I would just be sitting there thinking about my other research or taking notes on something else, so I think that’s kind of a personal decision and it depends a lot on someone’s personality and how much energy they have for that kind of stuff and choosing your battles. Like, I choose to spend the vast majority of my energy helping people that really want my help. That’s just me. There are some people whose vision is to get out there and change everybody and change everybody’s mind, and I think that’s great, and ultimately, of course, I’d like everybody to know the facts about all of these things that we talk about and to follow a lifestyle and a diet that makes them healthy and feel good, but I’m not generally the kind of person that will…I choose my battles. Let’s put it that way, and you know, there’s a limited amount of time in the day. There’s a limited number of days in the week. You know, I don’t have unlimited energy, so I choose to spend that writing my blog and doing this radio show and making this information available to people who want to come find it. I’m not the guy who will go to a vegan blog and leave a bunch of comments that are trying to convince them that eating a paleo diet is the best choice. That just doesn’t make any sense to me. To me, that’s a complete waste of energy and time. But to each his own. Steve Wright: Yeah, I think that’s really wise, and I’m glad you covered it, and I think the sum there is if you’re really angry and you pick and choose your battles, write your words on a blog somewhere, and we’ll probably all be reading it someday. Does consuming fat in the morning get in the way of intermittent fasting? Steve Wright: All right. Well, let’s move on to the next question. This one comes from Yoshi, and it’s about Dave Asprey and his blog, The Bulletproof Executive, and his question is: Dave recommends bulletproof coffee in the morning with your first meal. And he wants to know if you’re having fat in your coffee, which bulletproof coffee is grass-fed butter, MCT oil, and coffee, I believe. So, if you’re doing that in the morning, are you actually intermittent fasting? Chris Kresser: Yes. I mean, probably opinions will differ on this, but the idea behind intermittent fasting or one of the main things is to promote autophagy, which is the cellular garbage recycling process basically, and fat will not get in the way of that. Eating protein or carbohydrates will. So, if you are intermittent fasting and you have some coconut oil or, in this case, coffee, which has no carbohydrate or protein, and you add some fat to it, that doesn’t technically, in my opinion, get in the way of the potential benefits of intermittent fasting. If you’re doing intermittent fasting for weight loss, depending on what your beliefs are about weight loss, that may or may not interfere. If you’re just doing a very low carb, intermittent fasting type of approach, then eating fat wouldn’t interfere. If you’re doing a caloric-restricted kind of program, then adding a whole bunch of fat to your coffee, you’d have to obviously consider that in your overall calorie intake. But if it’s more of a question of health and autophagy, then it’s not gonna interfere. Steve Wright: OK. Well, that’s good to know because I know some of the more popular intermittent fasting routines such as Martin Berkhan’s at Leangains.com and Brad Pilon’s Eat Stop Eat, those are more around losing weight, not necessarily lifelong health. Steve Wright: And I have been trying the Bulletproof Exec coffee, and it’s very delicious. Chris Kresser: Yeah? You like the MCT oil in it? Steve Wright: I do! The only thing that I don’t like about it is it’s almost like a latte, and I like my coffee black. Steve Wright: So, you actually throw the MCT oil in there and some grass-fed butter and you spin it up in a blender like he recommends, it really turns all frothy. Chris Kresser: Yeah, I tried that, and I mean, nutritionally I think it’s great, but coffee and cream, to me, is the best combination ever. Especially raw cream that I get from our local farmer here. It’s like heavenly. Steve Wright: Do you blend it? Chris Kresser: I don’t blend it. No. Chris Kresser: Just adding cream. And the ratio for me is like one-third cream, two-thirds coffee, so it’s very, very creamy. Steve Wright: Do you do a couple cups of that? Chris Kresser: No, and I don’t do it every day, because I don’t do that well with a lot of caffeine. I’m one of those really caffeine-sensitive people. Chris Kresser: Just maybe three to four mornings a week, and even then, it’s probably weaker than some coffee aficionados would like. Steve Wright: Yeah, the one thing I did notice just switching to Dave’s brand, believe it or not, I’ve been trying a lot of different organic brands, and the phlegm that I was getting some mornings from various coffees, I kinda actually ended up tracking it down to the coffee. You know, I’m not sure how much science there is to the mycotoxins and what he does over there, but I’ll tell you, when I switched to that coffee, the problems that I was having with your high-end, big-box coffee store stopped. Chris Kresser: Right. Yeah, I think when it’s roasted is really important, and there aren’t that many places that you can buy coffee that are really, really fresh roasted. Steve Wright: Great. Well, I’m gonna have to get my hands on some raw cream because I don’t have any sources for that over here. Chris Kresser: Well, I mean, even pasteurized cream can be pretty good, but the raw cream here that we can get is even thicker than the cream that you can typically buy in stores. It’s la crème de la crème. Yeah, very, very good. Steve Wright: All right, well, we’re all coming over to your house for coffee next week. Chris Kresser: Yeah. It’s actually making me want some coffee right now. Hang on a sec. Steve Wright: Pause for the cause! Chris Kresser: I’m just kidding. Steve Wright: And we’re back! Chris Kresser: Now I’m bouncing off the walls. Let’s go! Let’s go! Steve Wright: Ha, ha. OK, well, the next question, after our coffee break here, is from Ryan. And this one’s a bit of a long one, but we’ll get it all in because it’s important. So, Ryan says: “First, I just want to say thanks for all the great information you provide. I really appreciate it, and I know a lot of others listeners do too. I have been attempting to lower my fasting blood glucose for the past year or so. It had been steadily rising over the past year and a half, so it was routinely now around 110 when I was first waking up. My total cholesterol has been rising at the same time to where at last check it was around 300 (HDL was 80, and triglycerides were 80). So, first I tried supplementing with magnesium citrate and had no effect. I just recently heard on your podcast about glycinate and malate forms, which are better,” or he heard that they were better. “Next I tried increasing my overall carbohydrate intake, which hasn’t helped. Then I came across a post on your site from 2010 describing the negative effect that intermittent fasting can have in certain cases. I had been doing intermittent fasting daily 16 to 20 hours” total, I’m guessing there, “along with heavy weight training in the fasted state four times a week for about a year, so your post hit home with me. For the past week and a half, I’ve been eating throughout the day, but so far my morning glucose is still around 110. I have not been eating breakfast right after waking and usually two to three hours later,” so it sounds like he’s eating breakfast two to three hours after he wakes up, and then after that he tries to eat a meal every three hours or so. It’s been two weeks now on this new eating schedule, and he was hoping to see some improvement, but nothing’s happened. He wants to know how long patients who switch from intermittent fasting to regular meals have taken to see improvement. Chris Kresser: It can take a couple of weeks usually, but there may be something else going on here. One thing to consider is latent adult autoimmune diabetes. Most people probably know there are two main types of diabetes. There’s type 1 diabetes, which is usually an early onset during childhood, autoimmune diabetes, and then there’s type 2 diabetes, which usually comes on later in life and has certainly a genetic predisposition but is also triggered by a lot of environmental factors. Recent research suggests that the lines between those two might not be as clear as we previously thought and that there’s another type of diabetes. Sometimes it’s called type 1.5, or sometimes it’s called LADA, latent adult autoimmune diabetes, and it’s kind of a combination. It has an autoimmune component, but it manifests more like type 2 diabetes than it does like type 1. And I’ve forgotten the exact numbers, but I think one estimate that I saw suggested that as many as 15% of people who are incorrectly diagnosed with type 2 diabetes actually have type 1.5. So, it’s possible something like that might be happening, and in that case, diet would certainly be important, but you’d also have to take steps to address the immune dysregulation to make some progress with it. Another thing to consider is iron overload, which we were just talking about earlier in the show. Iron overload can damage the beta cells of the pancreas and cause insulin deficiency and insulin resistance, and there’s a type of hemochromatosis that is earlier onset called juvenile hemochromatosis. It’s fairly rare. I wouldn’t guess that’s what’s happening, but the main form of hemochromatosis can start to come on in the late 20s and early 30s. That’s a possibility. You know, I originally was thinking that a very low carb diet can cause this dawn effect where you can have high fasting blood sugar and then your blood sugar will come down to normal levels after you eat a meal. I think that the next step here would be, if you haven’t already done this, to measure your post-meal blood sugars. So you get a glucometer, and I have some posts on my blog that describe how to do this. We can put it in the show notes. And you measure your blood sugar in the morning. I assume he already has one if he’s taking his blood sugar all the time, but you measure just before lunch, then you eat lunch, and then you measure at one hour, two hours, and three hours after. The targets that you want to be under are 140 at one hour and 120 at two hours, and if you’re under those targets and well under those targets but your fasting blood sugar is still high in the morning, that indicates a few different possibilities. Number one, fasting blood sugar is more of an indicator of liver insulin sensitivity, and post-meal blood sugars are more of an indicator of muscle and fat cell insulin sensitivity. So, it’s possible in that situation that there’s a liver insulin resistance issue, and again, that could be mediated by iron, that could be an autoimmune mechanism, or possibly a genetic mechanism because there’s a really strong family history there that he mentioned. If the post-meal blood sugars are elevated, you know, above 140 at one hour or above 120 at two hours, and the fasting blood sugar is elevated, then I would pretty strongly suspect some kind of autoimmune mechanism at that point in light of how much exercising and, you know, it sounds like the diet is pretty clean, so in that circumstance I think getting some help from someone who can help figure it out would be a good idea. Steve Wright: OK, well, hopefully that helps him out. OK, the next question is from Anonymous or we lost his name, so sorry. “Chris, could you address strategies for controlling sympathetic nervous response when facing a pressure-filled situation like an interview, presentation, or audition? My wife is an actress and is looking for ways to go into auditions more relaxed. At times, her sympathetic nervous system gets going too fast, and she shakes and gets dry throat. On the other hand, the times when she feels at ease and relaxes, she knocks auditions out of the park. She would like to be able to control her nerves consistently.” And he wants to mention one strategy that has seemed to help is taking magnesium glycinate and calcium AEP before the audition. Also simply doing more auditions helps. What else could it be? Chris Kresser: Yeah, so there are a number of ways to approach this, of course. One is nutritionally, which he discussed. The way that I would tend to think about this, though, is more from a behavioral perspective, and there are a number of things that can be done to help manage stress and dampen the sympathetic nervous system response before an audition or a speech, public talk, anything like that. One of those is mindfulness practice, and we’ve talked a lot about this on the show and on the blog. Just bringing your awareness into the present moment can be really, really helpful in reducing that stress response, and that can be done in a variety of ways. The simplest way of doing it is just bringing your attention to your breath, and importantly because I think a lot of people when they talk about this, they talk about doing deep breathing. That can be helpful, for sure, but I’m not a big fan of that technique because that involves manipulating your breath, and for some people, trying to control their breathing, which is really one of the most natural processes there is, can actually add stress and can be stressful in its own right. So, when I say bring your attention to your breathing, what I mean is just that. Just be aware of how your breathing is without trying to intervene and control it or make it deeper or shallower or anything else, just bringing your attention to your breath, watching what it’s doing kind of just like you’d watch clouds moving through the sky. That’s one way. Another way is what’s called a body scan or a progressive relaxation exercise or a body sweep, and this where, for example, if you’re sitting in a chair outside the audition room waiting or in your car when you’re waiting, you just sweep your attention through your body. You start maybe with the toes on your left foot, and you gradually sweep your attention from the toes of your left foot into the ball of your foot and the top of your left foot, then to your heel, and you just move through the body that way, all the while just letting your breathing be easy, and any time your mind wanders, which it almost certainly will, just bring your attention right back to where it was before. There’s no need to start over. There’s no need to beat yourself up for your mind wandering. Just bring your attention right back to where it is, and just doing that, getting all the way through the body, by the end of that, I can almost guarantee you you’ll be significantly more relaxed. There are some MP3s that are available for free online that guide you through these body scans and similar techniques, and we’ll put a link in the show notes. So, doing that can be really helpful, and I really recommend that because it’s something that you can teach yourself to do, and it’s something that will always be available to you. It doesn’t involve taking any supplements or making any changes as far as that goes. And there’s nothing wrong with taking supplements, but I always believe that less is more, so if you can accomplish something without adding something new just by working with your own awareness, then that’s probably a better choice. Another thing along those same lines that can be really effective in reducing stress and optimizing performance is visualization. There is a lot of research behind the positive effects of visualization on all kinds of performance-based activity from athletics to public speaking. I’m not sure if there are any studies on acting specifically, but I’m sure that whatever the studies are for public speaking would apply there. So, getting a good book on visualization or some tapes on visualization techniques would be another good choice. And something that I used to use before a big exam like the state board examinations or a final exam or something like that is tai chi and qigong, which is something that I learned years and years ago in college and then have studied pretty consistently on and off for about 20 years with various teachers. You could think of them both as moving meditations, and qigong, in particular, focuses on the breath and various breathing techniques coordinated with movement, and tai chi also does, although to a lesser degree. But for some people who have trouble just doing seated meditation techniques or visualization or mindfulness because their mind is so busy or if they’re so triggered, like they’re really nervous about an audition, doing some kind of moving meditation like tai chi or qigong might be even more beneficial because when you’re waiting for an audition, some of that nervousness is probably…it’s just energy. I mean, we can label it as fear or nervousness, but it’s energy, and a lot of the best performers find a way to channel that energy into the performance. The idea isn’t to get rid of that energy because that’s what’s gonna fuel the performance. The idea is to learn to work with it and channel it in positive ways. So, I think doing a moving type of meditation might be even more helpful in that regard, and just recognizing that some amount of nervousness is probably a sign that you’re in the right place. You know, it’s still an activity that’s really alive for you. There’s a quote from Sammy Davis, Jr., that I’ve always really liked, where he said: The day I stop getting nervous before I perform will be the day that I stop performing. And I think that just kinda gets at the juice there was for him in performing. So, all of those are good options, and I think they can probably be helpful. Steve Wright: Yeah, I guarantee that it can be, and speaking from someone who is more of the…I get real amped up, a couple things that I’ve done in the past was actually, like, if you get really worked up and you’re not about to do a physical performance-based thing is just to drop down and just do push-ups until you’re exhausted. That’s one to way to get out of your head and kinda get into your body. Chris Kresser: That’s right, that’s right. Get a heavy bag! Steve Wright: Yeah! Basically just figure out a way to dissipate some of the energy so you can calm things down a little bit. Chris Kresser: Yeah. Another thing, and this is maybe not so much for an audition, although I think it would apply there too, but for tests it’s a really bad idea to be studying right before a test. From a neurological standpoint and how memory works, the best way to do it is to get all the studying done the day before, and on the day of the test to wake up, do some exercise, do some mindfulness practice or meditation, something relaxing, you know, something to actually take your mind off of the test, and just make sure you’re really prepared the day before. And I’ve seen some interesting research that people who do that tend to be perform a lot better than people who are, like, standing outside, reading all their notes just before they go in the test or, in this case, studying the lines. Steve Wright: Yeah, and I’m sure sleep has a big to-do there as well. Chris Kresser: Yeah, absolutely. OK, so I think we have time for one more short one. How about the dry eyes question? Does hypothyroidism cause dry eyes? Steve Wright: OK. All right, here we go. This comes from Grace, and she says: “Hi, Chris. Recently I went to a new optometrist, and on my new patient forms I indicated that I had hypothyroidism. I was diagnosed with hypothyroidism about five years ago, and I’ve been on various medications since. During my appointment, the optometrist explained that the reason I have dry eyes is due to my hypothyroidism. I had never heard of this before. Could you explain the mechanisms of how this works? Are there any foods or supplements you would recommend to reduce the dryness in my eyes?” And she notes that she recently started the 30-Day Paleo Challenge, and she is hoping to see some change in her symptoms. Thanks. Chris Kresser: Yeah, well, there’s a condition called thyroid eye disease, and that is potentially what we’re talking about here, and the majority of thyroid eye disease cases are associated with hyperthyroidism more than hypothyroidism, but about 10% are associated with either euthyroid, which is normal thyroid, numbers or hypothyroidism. And in most cases, whether it is hyperthyroidism or euthyroid or hypothyroidism, it’s caused by autoimmune thyroid disease, which involves specifically a cross-reactivity against shared antigens in the thyroid and eye tissue. So, the immune system is attacking antigens in the thyroid tissue that are similar to antigens in the orbital tissue, so you get a cross-reactivity there. So, the first thing that I would do if I were her would be to get thyroid antibodies tested, thyroid peroxidase (TPO) and thyroglobulin (Tg) antibodies, to see if you have Hashimoto’s, which since you mentioned hypothyroidism, that’s much more likely than Graves’, which causes hyperthyroidism. And if you have autoimmune thyroid disease, then the key, as I have said before, is going to be addressing the immune dysregulation, so taking steps to balance and regulate the immune system. That involves optimizing vitamin D levels, optimizing glutathione status, removing food toxins from the diet, which it sounds like you’re already doing with the Paleo Challenge. Low-dose naltrexone can be really effective in stimulating T regulatory cell function. So, that would be addressing the root of the problem if it is autoimmune in origin. Fermented cod liver oil. I’ve seen some benefits and success with fermented cod liver oil / butter oil blend from Green Pasture with dry eyes and dry skin, for that matter, dry scalp. Vitamin A is really important for the eyes, and vitamin A is in the fermented cod liver oil, preformed vitamin A. And then the EPA and DHA, the omega-3 fats, can be helpful as well. So, first step, see if it’s autoimmune in origin, and if it is, address that. And in the meantime, if you’re not already doing it, try the fermented cod liver oil / butter oil blend. Steve Wright: Is it bad in the meantime to be using any of those eye drops that remove the red and kinda lubricate things? Chris Kresser: I don’t actually know a lot about those eye drops. It’s just not something that I’ve come across very frequently in my practice, and I don’t really know, to be honest, what the downside of those drops might be, if any. Chris Kresser: And I don’t have any eye problems myself, so I’ve never had any reason to look into it, so I’ll have to put that on my list of topics to learn about. Steve Wright: Yeah, I’ve had them in the past, not so much lately, but I know back pre-SCD, pre-paleo, I did have a lot of eye problems. Chris Kresser: OK, well, that’s gonna do it for today. We’re never able to get through quite as many questions as I think we’ll be able to, but we’ve got some great questions on deck that we’ll get to soon, and keep sending us your questions. We’re gonna get to them eventually. Steve Wright: Yep, we keep them on the list, and maybe next time if we don’t take such a long coffee break we’ll get through more questions. Chris Kresser: If I’m not so long winded, you mean! Steve Wright: No, that’s not what I said! All right, well, thanks everyone for listening today. 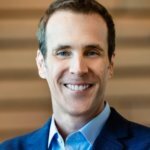 Please keep sending your questions at Chriskresser.com using the podcast submission link. And if you enjoyed listening to today’s show, please head over to iTunes and leave us a review. Hi Chris, not sure if this is the submissions link referred to by Steve, to ask questions for future show? Re high ferritin levels and inflammation. You say that there can also be a link between inflammation and high ferritin levels. The hormone hepcidin can prevent release of ferritin (stored iron) and so cells can be short of iron, even though have high storage levels of iron. My question is, does the high ferritin level not pose the same risk to the body/organs that you mentioned because it is not getting to the cells or is there the same risk and so should I reduce dietry iron even though cells may be short of it? Obviously the quest is to get inflammation down, am trying with some success but have RA but not sure what to do about iron in the meantime. I am through menopause, weigh approx 98 pounds – my natural weight presumeably as stableised following Paleo/PHDiet but ferritin levels have increased over 12months from 99 to 141, fibrinogen is also connected then, mine is worryingly in abnormal high range 5.5 and yet clotting time (APTT) is 30.8 seconds. (I had tested as take curcumin and eat a lot of ginger) and was shocked to see fibrinogen level. So for us folks with inflammatory conditions, could you please elaborate on what we should be doing or taking note of. Many thanks Chris, will you possibly be addressing in your book? We know that pathogenic bacteria in the gut consume iron. I wonder if paleolithic people’s intestinal flora had more of these iron consuming bacteria, thus keeping iron levels in a safe range. Thoughts?? Just wondering if high ferritin (272) would be indicative of iron overload, even if hemoglobin is normal. And what does high ferritin have to do with insulin resistance? Hey Chris not sure if you will get this since this podcast is a bit dated but you bring up Naturopathy school which is something Im seriously considering over the next couple months. So far I’ve only gotten my associates degree in a non science/medical field. How much schooling or college did you do for Naturopathy and before for pre med? Any colleges or resources that you could link to or help out? Im up in the northwest, a little north of Vancouver, Washington and Portland, Oregon, I know there are a few naturopathy schools up here I believe. Any help or tips on getting some good loans or grants as well since I am tight on money as it is. When I got my associates degree I got a scholarship and a loan to help pay for it. For sympathetic nervous system response for the actress wife – nothing I found works bettervthan EFT or Energy Psychology. (her leg shakes and mouth is dry – a phobic response). Based on Chinese medicine, involves tapping on the first meridian points. (bladder, stomach, central, governing, K21, spleen, then the triple warmer point at top of hand). A 10th degree black belt in Kung fu and Qi Qong I know uses it to increase the performance of himsel and his students. My shrink friend uses it for her extreme trauma clients. I use it myself. Wish I knew these techniques when Ii was a singer with stage fright! Check out Donna Eden and her husband Dr David Fienstein. Brilliant. To anyone who has ever suffered from panic disorder or generalized anxiety please listen to Chris’ advice here regarding mindfulness. Learning just the basic mindful breathing techniques literally changed my life three years ago. Jon Kabat-Zinn’s writings are a good place to start. In regards to school — I want to help people in the way that you help people. Is getting a degree from something like the Acupuncture and Integrative Medicine College in Berkeley the way to do it (is that a masters?)? With maybe additional education from the Institute of Functional Medicine at some point? I’m looking for a place to start, a way for me to stuff myself with science-based, evidence driven data that I can use to point people in the right direction. I want to help, but I feel untrained and really at a loss for ‘next steps’ when people go full-out paleo and still run into road blocks. The problem is I don’t know enough. I can read all the articles I can find and frequent websites from all of the paleo gurus I trust, but it’s too little too slow and I want to be able to make more change in people’s lives (starting with myself, friends, and family!). I’ve looked at Reed Davis’s Functional Diagnostic Nutrition, I’ve read through Robb Wolf’s Evolutionary Science/Nutrition Certification info…I’m trying to find the best source. Any recommendations or comments you can provide? Chris: Thank you very much for the iron overload info. Greatly appreciated. Raw heavy cream is quite amazing. We buy from a place in PA called Miller’s Organic Farm. The cream is so thick, it is like paint. @ Robby – Thanks man this is a whole new level to explore (insert evil laugh). Didn’t even know it was possible. Where do you source your green beans from? As mentioned, SweetMarias.com. They are used by many. It seems daunting, but aside from the initial up front cost of around $200, is absurdly easy. Sickness ratio of 1:94,000 for raw milk, 1:880,000 for pastuerized. Chances are you’ll get sick from raw milk long before getting sick from pastuerized. Relative or absolute, this is significant.. I’ll stick with pastuerized, thanks. Chris, as a transitioning-to-Paleo optometrist, I can add a bit of info about the drops that “get the red out”. Those contain vasoconstrictors, for cosmetic constriction of the dilated small arteries and veins within the conjunctiva (movable, clear covering on the white) of the eye. The drug used is usually something like the drug in nasal sprays like Afrin. In eye care, we prefer to eliminate the reason for the vasodilation rather than use vasoconstrictor drops — much like eliminating the reason for GERD rather than perpetually drugging the symptoms. There are many non-preserved lubricating drops available OTC in drugstores, which are more highly recommended–all of them are in some way just mimicking the components of natural tears: mucus, lipid, and saline. I am in a surgical practice so we often deal with dry eye of all origins– hormonal, chemical, allergic, and often, caused by combinations of oral pharmaceuticals especially decongestant allergy meds, oral contraceptives and so on. Our standard recommendation is to add good fish oil, work to balance the diet ( it’s hard to take enough time to fully educate folks about nutrition! ), avoid environmental triggers, hydrate, and use only non-preserved lubricating drops. I tell patients only to use drops that get the red out if they’re going for a job interview or having a portrait made! The whole thyroid eye disease issue is too huge for a small comment, and I am by no means an expert in treatment of autoimmune thyroid disregulation, so I won’t address that at all. Thanks for all the accessible, accurate, and thoughtful info you provide! @ Nancy – Thanks! do you have a favorite brand of the natural stuff? I get the problem after flying and usually just try to use saline solution but I’m always looking to upgrade. Steven, flying is the worst for most people! Like being in the high desert. The screw top bottles all contain a preservative like EDTA or similar, which is not only unpleasant to the bugs but also to the corneal epithelium, when used repeatedly. There used to be a great preservative free one called Lens Plus drops, in vials that were about 0.5 ml of balanced saline solution, but I’m afraid they’ve been discontinued. Otherwise,I’m pretty sure the preservative-free ones are all manufactured so none are naturally sourced, at all. Similasan http://www.similasanusa.com/ may be the only widely available one that is. They advertise that their ingredients are all natural, and they have TSA compliant bottles! Hi Chris. I just wanted to say thanks for taking the time to address my question. I do indeed have a glucometer and usually my post-meal glucose is below 100 an hour and two hours post-prandial. Then it seems to rise after that. Unless I really load up on the rice and other carbs, then it can be somewhat higher, but still usually below 100 (sometimes significantly so) by 2 hours. I will look into all the info you suggested and keep you posted on what I discover. Thanks so much! Chris, your podcast is the single most brilliant public discussion of raw milk I’ve seen yet. Thank you for having the courage to address the issue. I’ve never consumed raw milk and currently consider the default “Paleo”/ancestral position to be one of skepticism and caution re: dairy products as staple foods, but the anti-raw-milk hysteria has reached ridiculous and even fascist proportions and the plus side of the issue is rarely discussed. Modern Western society has largely become obsessed with trying to avoid all “germs,” often failing to recognize that most microbiota are beneficial, and generally disregarding the evidence for the robustifying, antifragile benefits of probiotics, aka the “Old Friends.” Thank you for your efforts and keep up the good work. While I understand there are differing opinions on the risk of raw milk, to me, its seems like an unnecessary risk. I am curious what method you used to come up with 1 in 6 million for the raw milk risk. Based on CDC data, literature, and state and local reports, FDA compiled a list of outbreaks that occurred in the U.S. from 1987 to September 2010. During this period, there were at least 133 outbreaks due to the consumption of raw milk and raw milk products. These outbreaks caused 2,659 cases of illnesses, 269 hospitalizations, 3 deaths, 6 stillbirths and 2 miscarriages. Because not all cases of foodborne illness are recognized and reported, the actual number of illnesses associated with raw milk likely is greater. I explained how I came up with the 1 in 6 million number. It refers to the risk of hospitalizations from raw milk illness during the period I examined, 2000 – 2007. I also addressed issues with the CDC data that make it misleading – such as combining outbreaks from homemade Queso Fresco style cheese with outbreaks from fluid raw milk. For those of us who are having trouble finding someone who can help, can you give a sense of what, in general, the next few diagnostic steps might be? I know that these problems are complicated; I’m just wondering if you can go a few steps further than what you said here. Are you talking tests like islet and GAD antibodies? What dosage of the fermented CLO/butter oil blend do you recommend? I’m waiting for my order of it to come in and funnily enough have dry eyes. Thanks for the podcast. i’d like to express my appreciation for your providing the transcript for your talks! i’m one of those who would rather read than listen to information like this (i’m a visual learner)…. thanks, Chris! Thank you Josh! That is so helpful! Are you aware that they recalled our raw milk again! I drove out to Lunardis for my raw milk for the week and there was none. I thought it was legal in Ca. what is up with this constant harrassment? Hi Chris, you mentioned some free online MP3s for body scans and such. Can you post the link to those? Thanks for your help! Also can you elaborate a bit on what you mean by optimizing glutathione status? I’ve read that taking a glutathione supplement won’t help, but that using it in a transdermal form is better. I haven’t taken either, but I have a TPO of 9 IU/ml, and my Vitamin D is at 28ng/mL, even though my Vitamin D 125 is at 65pg/mL. My diet is clean and I take the FCLO/butter capsules, but I know I need to do more to balance my immune system. I also take Cytomel currently (45mcg). Would really love a link to MP3s for minfullness meditation and body scans on the web. I would be interested in the ones that you rate as good. http://www.buddhanet.net/audio-meditation.htm has some good free recordings. I have just listened to the body scans and feel very relaxed. Chris, the advice on calming anxiety in tense moments is so helpful. I recently discovered I have very low cortisol, so whenever I perceive a threat or conflict (even a co-worker having a bad day and biting my head off), I get a SERIOUS fight-or-flight response, total adrenaline rush, red face, and inability to think very clearly. My physiological response is very overwhelming, full on panic mode. I know there is likely a psychological component as well, and am worried that even as I support my adrenals my neural pathway to go to panic mode is so ingrained I won’t be able to have a more appropriate, cortisol related reaction. Even though I’m trying to practice mindfulness and breathing through my heart throughout the day, when I get into fight-or-flight mode it doesn’t occur to me. Sometimes it feels like things are happening so quickly that stopping to think about my breath doesn’t even seem possible (imagine a customer service agent being yelled at by a customer and asking for a moment to breathe…. ain’t gonna happen!). Any advice on how to deal with this more dramatic version of the topic you covered in this show? What can I do about the psychological component? Thanks Chris!!! !